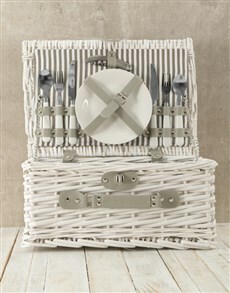 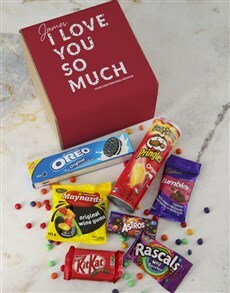 Make a lasting impression on him and his stomach, this anniversary. 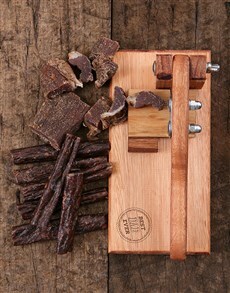 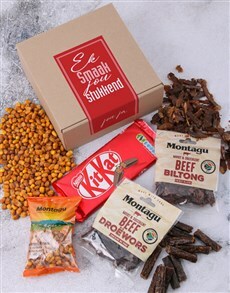 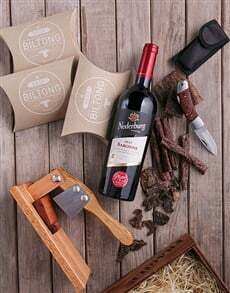 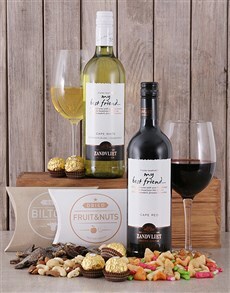 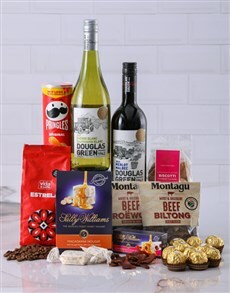 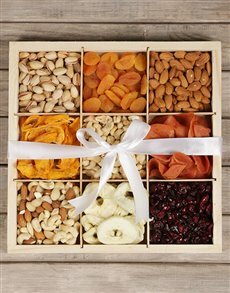 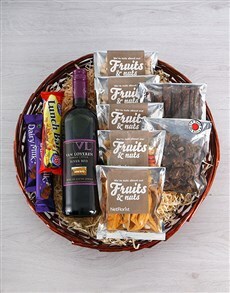 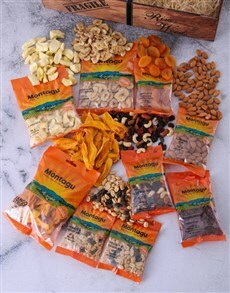 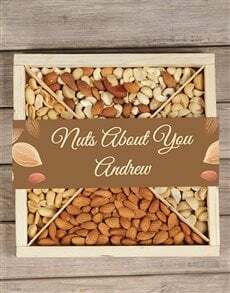 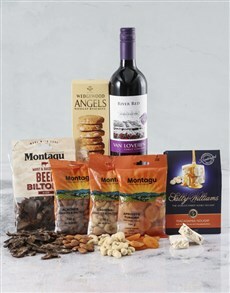 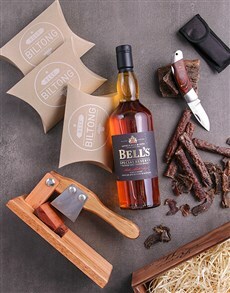 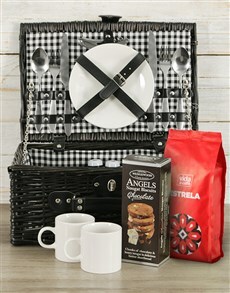 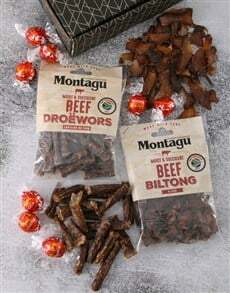 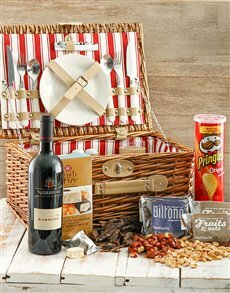 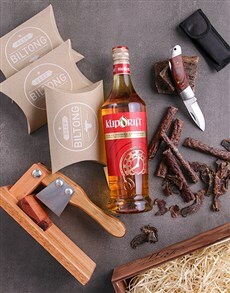 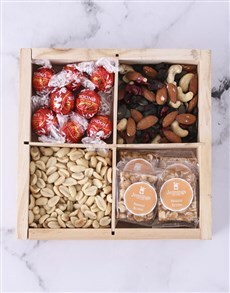 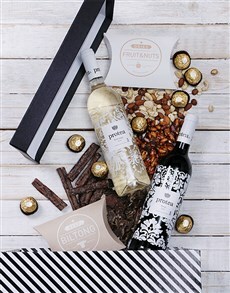 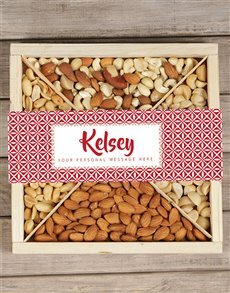 These gourmet hampers are packed with snack goodness such as biltong, crisps, chocolates, nuts and more. 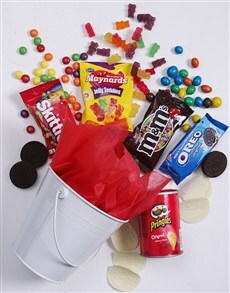 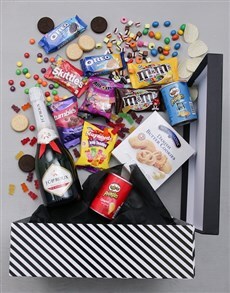 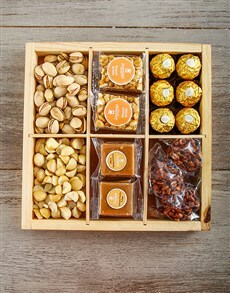 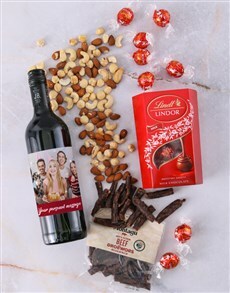 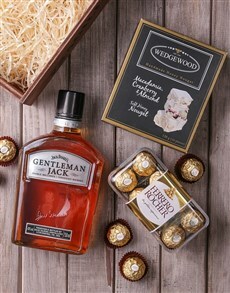 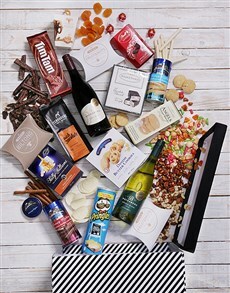 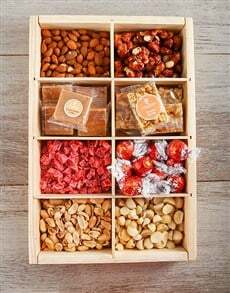 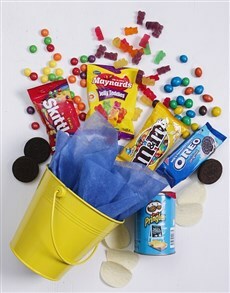 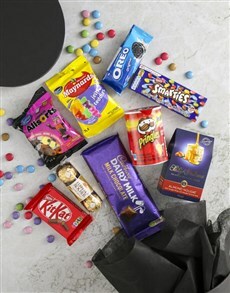 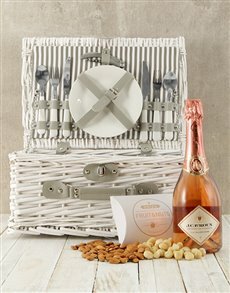 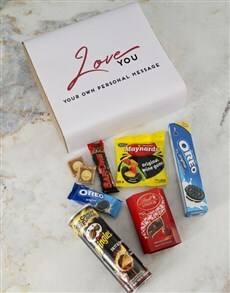 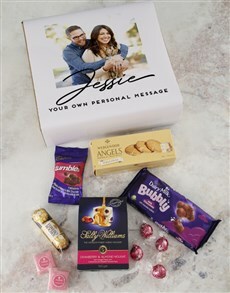 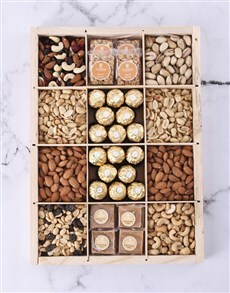 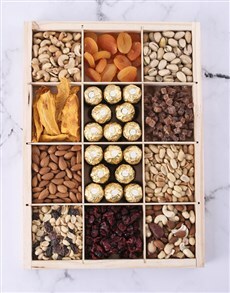 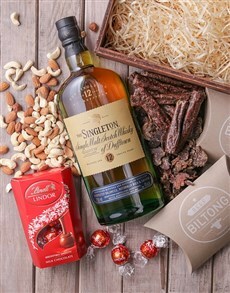 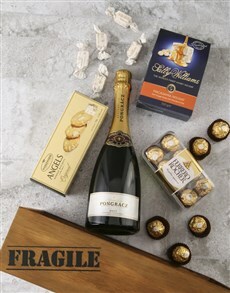 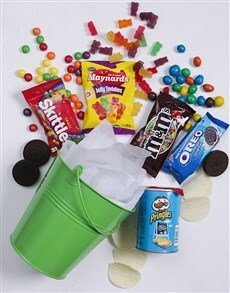 The category also includes edible chocolate hampers, some of which are accompanied by mini-alcohol bottles. 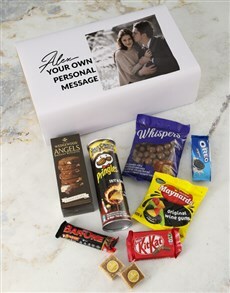 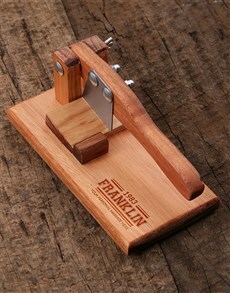 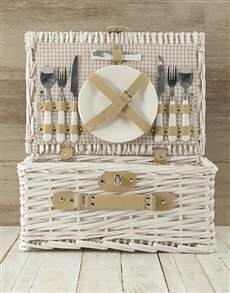 Order beforehand and so that the gift is received on the special day. 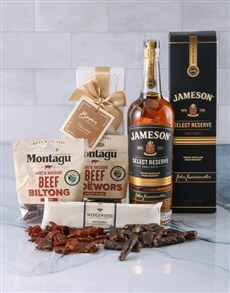 Our supreme delivery services deliver across the country, including areas in Port Elizabeth such as Humewood, Kini Bay, Lovemore Park and more.